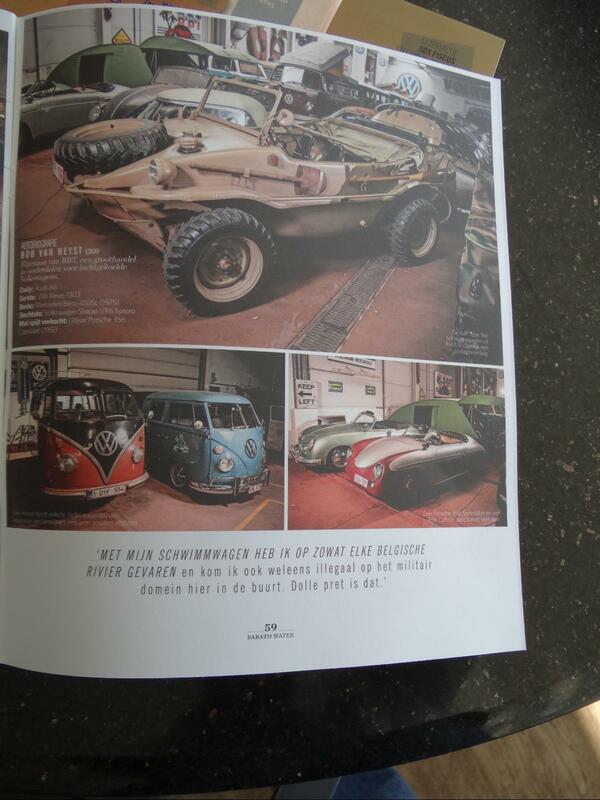 Another feature about the BBT collection…. 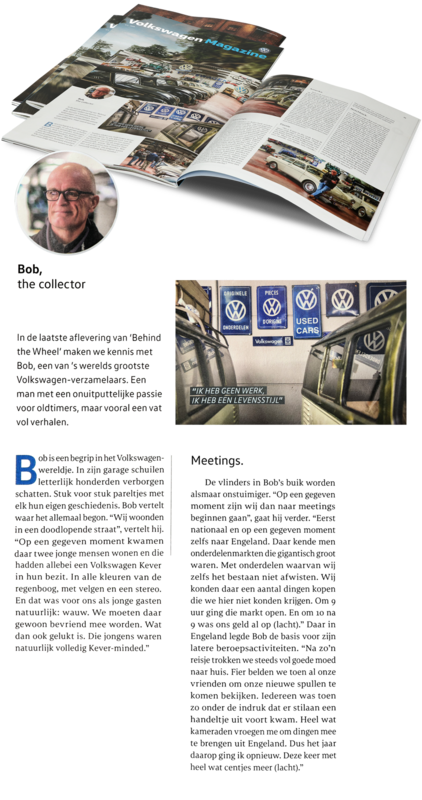 In the latest issue of their “Volkswagen magazine” they put “our” story on paper … that magazine is distributed to all owners of registered Volkswagens in Belgium…. 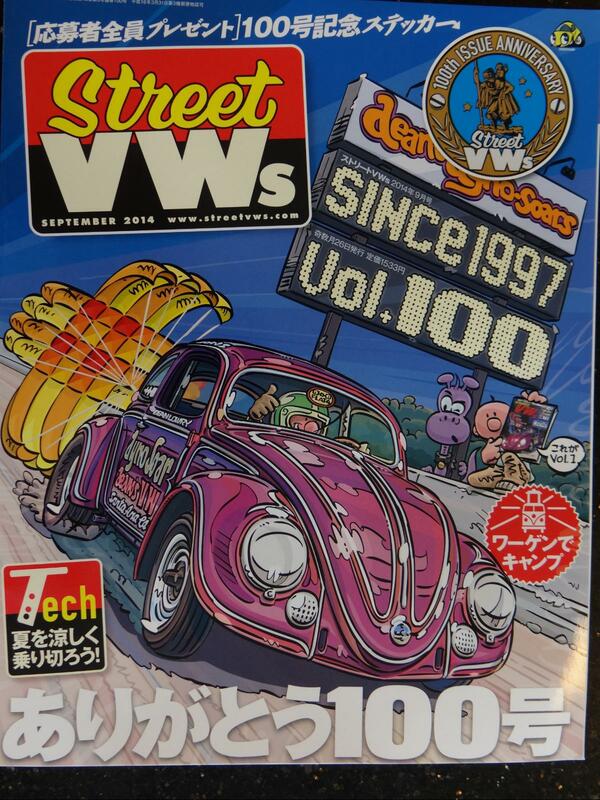 a real nice feature…. 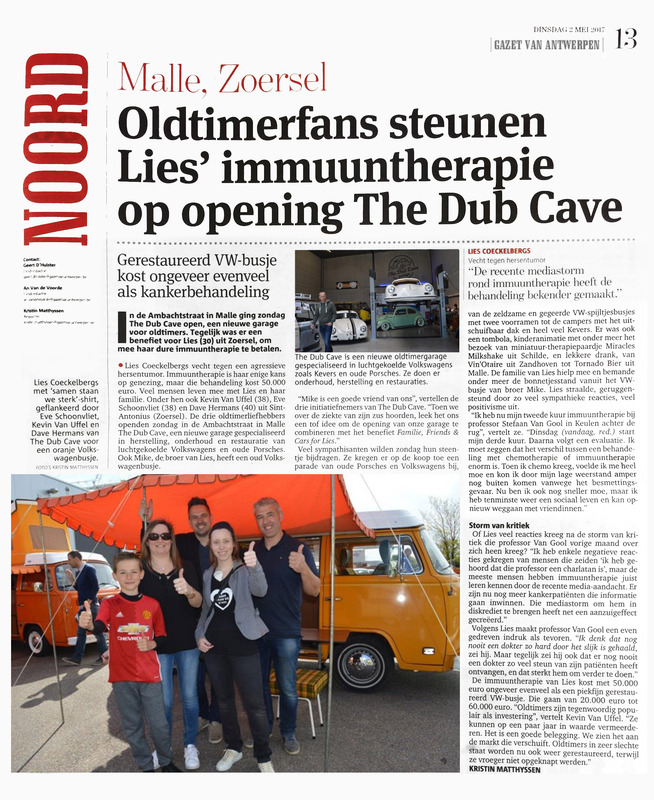 unfortunately only available in Flemish or French, our native tongues…. 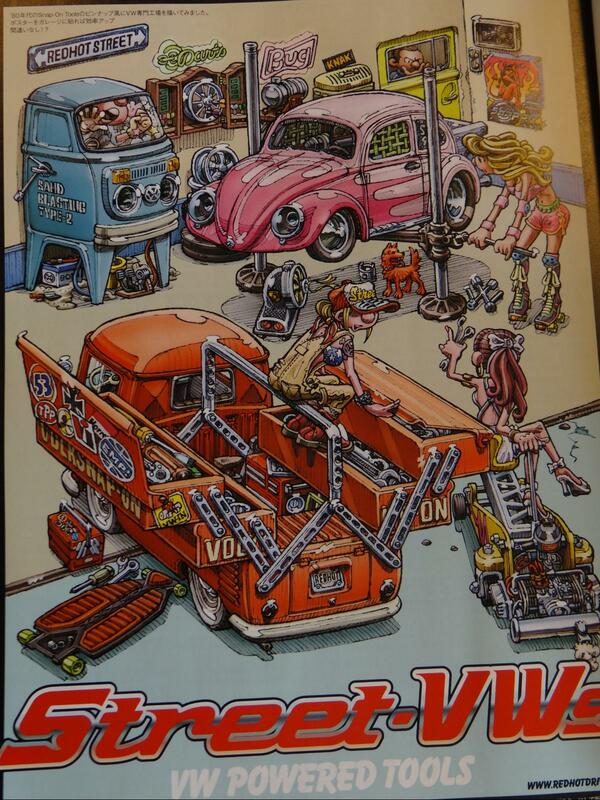 The BBT collection is THE test bed for all of our quality parts! 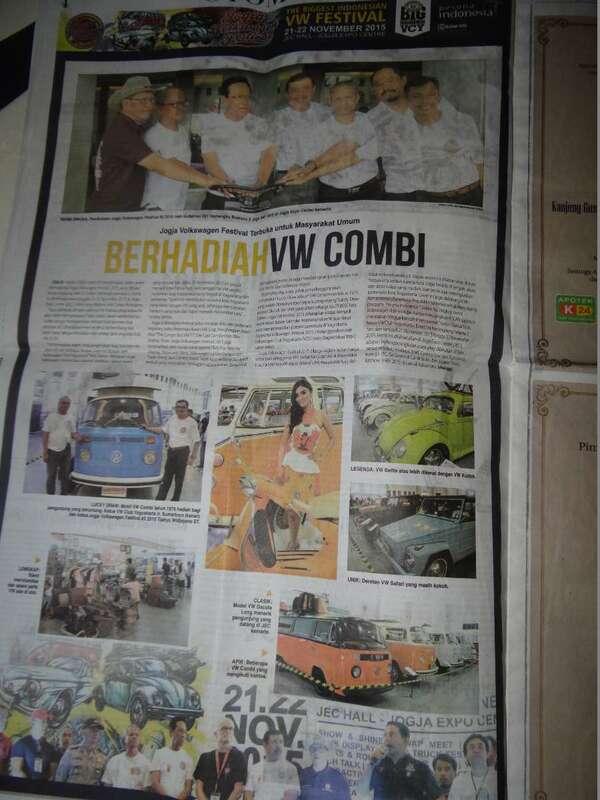 We’re the Volkswagen people! Nobody can beat our passion! 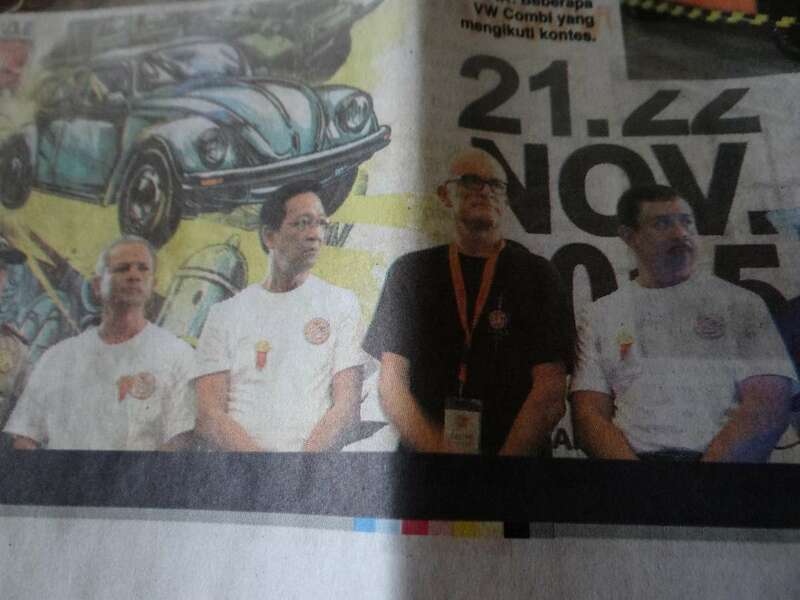 Yours truly in a Indonesian Newspaper! 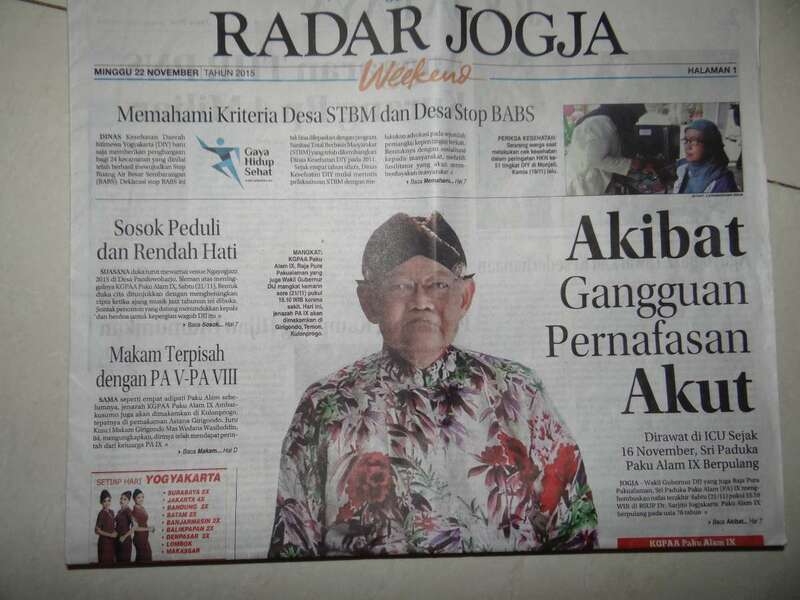 That Yogyakarta is a real big thing going on right here proves the attention the press give to it… literally every newspaper covered the event… and one was kind enough to print a picture with me, my selves and I! 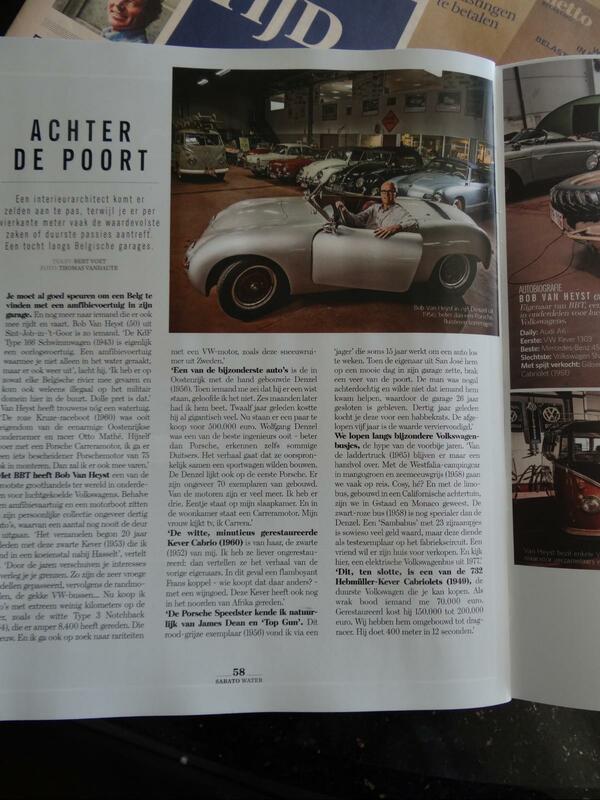 BBT’s car collection in “DE TIJD” Newspaper vandaag! 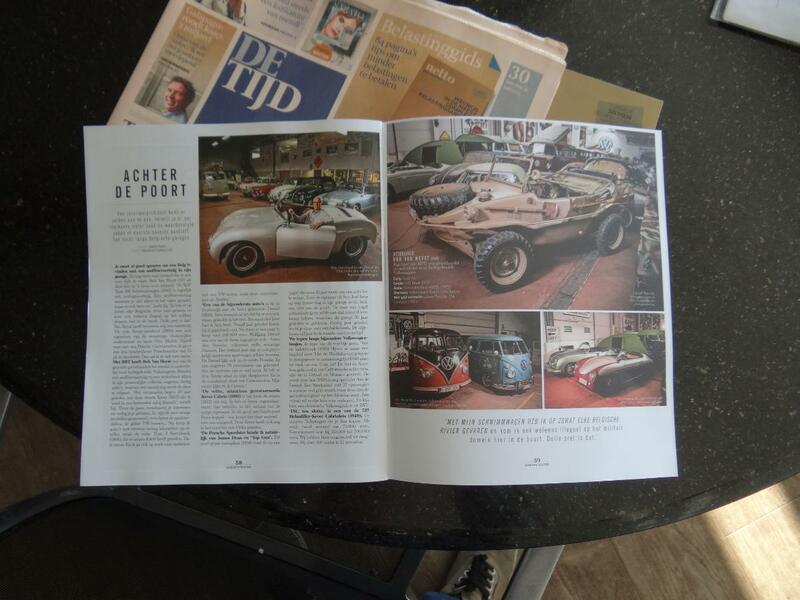 Sabato is the extra weekend magazine edition of “De Tijd” newspaper in the Dutch speaking part of Belgium, one of the most leading newspapers available over here. 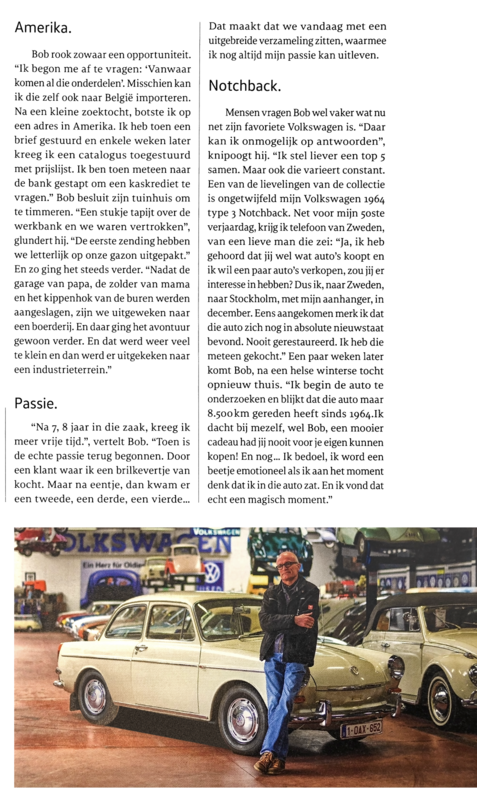 Two weeks ago a photographer and a journalist came by for pictures and interview, for today’s publication… they have a weekly “behind the garage doors” feature. This week it was my turn….